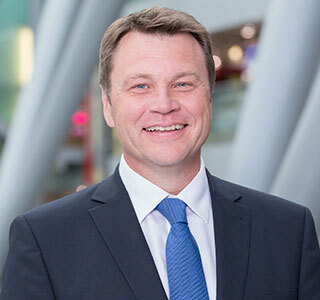 Thomas Schnalke, CEO Düsseldorf Airport, interviewed by Ross Falconer. Düsseldorf Airport is the largest in North-Rhine Westphalia (NRW), with a 60% market share, and gateway to the world for the most populated German federal state. The airport is an international trading centre for people and goods, for know-how, ideas, technical and cultural inspirations, and an important economic factor. Located at the heart of one of Europe’s strongest economic regions, and serving 200 destinations in 50 countries, Düsseldorf Airport plays a significant role in meeting the mobility needs of NRW’s citizens and economy. 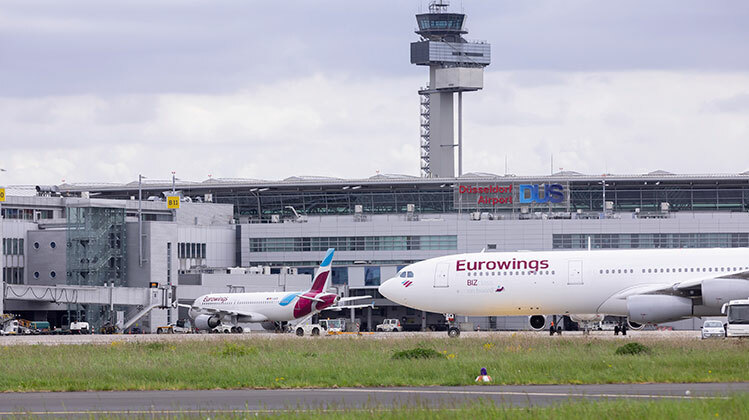 Düsseldorf Airport City underlines the airport’s support for businesses in the region. The modern office and business park is located on a 23-hectare area close to the terminal. Almost all of the properties are occupied, and there are plans to further expand the business park by five hectares. Meanwhile, traffic is also growing. The airport achieved its eighth consecutive record in 2017, handling 24.6 million passengers and exceeding the previous year’s growth rate of 4.8%. Impressively, it remains on its existing growth trajectory despite the bankruptcy of its biggest airline partner Air Berlin, which led to the loss of over 30% of all flights. A commitment to environmental sustainability is at the heart of Düsseldorf Airport’s development strategy. It is accredited at Level 3 Optimisation of ACI’s Airport Carbon Accreditation, and has already reached its target of reducing CO2 emissions to 2.55 kilograms per traffic unit, which was originally planned by 2020. Indeed, Schnalke comments that the airport has even exceeded that goal. The airport is also increasingly relying on electric mobility, with over 30 electrically-powered vehicles to be operational onsite by 2020. Added to this will be increased use of LED lighting, and optimisation of the terminal’s air conditioning.